Lightweight and foldable, designed with a carry handle, the blanket can be easily folded into a handbag shape. Large enough to let you and your family, friend enjoy the glamour of nature. Ideal for the beach fun, picnics, camping , sporting evens, backyard play, baby climb and so on. 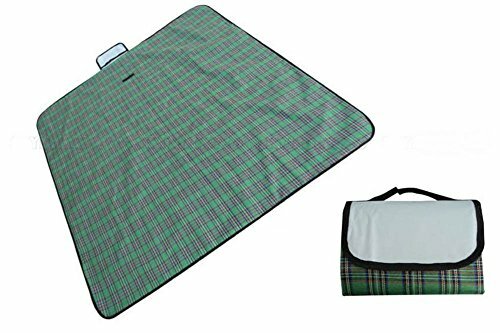 Picnic Mat - Green Edition sand proof water proof beach blanket beach blanket water resistant 56" X 78"